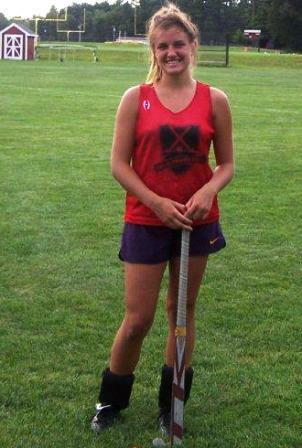 Northborough/Southborough – Our Athlete of the Week is Emily Bourke, a senior at Algonquin Regional High School (ARHS), and co-captain of the field hockey team. Coach Dan Welty had high praise for her. “Emily plays with great enthusiasm and comes into the season with a lot of promise,” Welty said. 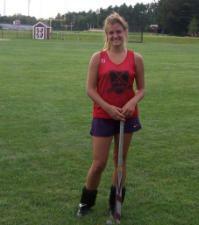 Bourke has been playing field hockey since seventh grade, and is a fixture at right wing. Bourke has been part of very successful teams at ARHS. Last year, the field hockey team won the Central Mass. Championship. She also played on last year's Central Mass. Champion girls basketball team, as well as the 2009 State Champion tennis team. “Whichever season we'se in, I immerse myself in that sport,” she said. 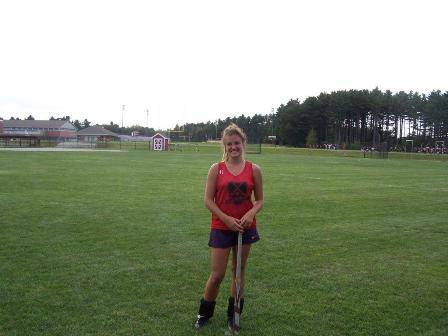 Bourke plans to pursue field hockey in college, where she plans on studying environmental science or biology. But for the moment, she is very focused on this field hockey season. “Coach Welty is very enthusiastic, and I's very thankful to have him as our coach,” she said. “He keeps us focused on developing as players, and being cohesive as a team, and when we are cohesive, we will do well.